And guess what, it’s $700. SEVEN HUNDRED DOLLARS. Shara joined in the #PlywoodPretty challenge and built this bench and inspired me to do the same (only I modified mine a little bit)! Since I wanted to build this bench in a day and I didn’t want to have Bryn’s help for most of it, I decided to take some shortcuts with this project. So, on top of the how-to, i’m going to share my shortcuts! 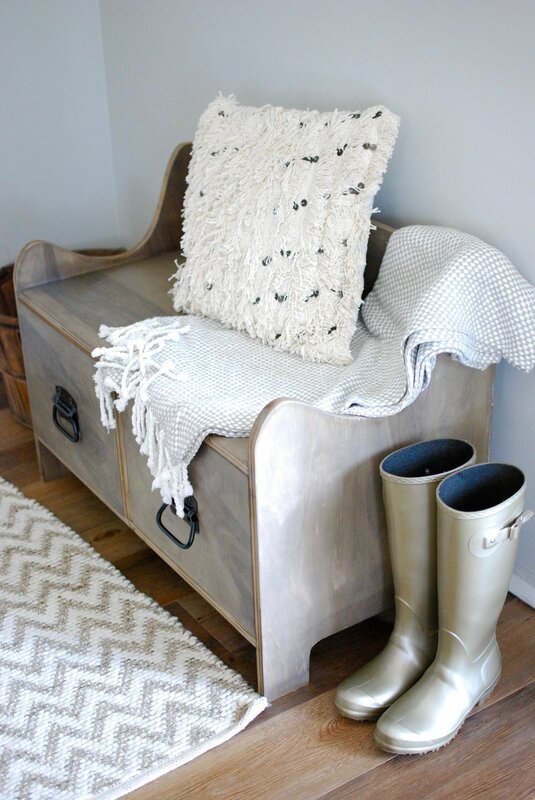 Isn’t this just a beautiful entryway storage bench? 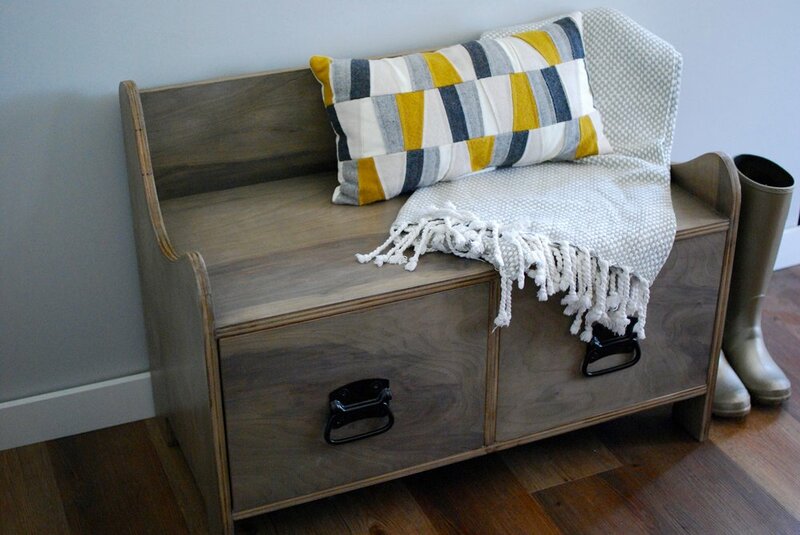 It’s almost EXACTLY the same as the Pottery Barn bench. And here’s the best part. I spent $50. FIFTY DOLLARS. That’s it. I know you want to build your own, so let’s get started. Cut the plywood into pieces for the bench. Shara made the diagram below and I thought it was extremely helpful! In order to cut these to size, you can use a table saw or circular saw. 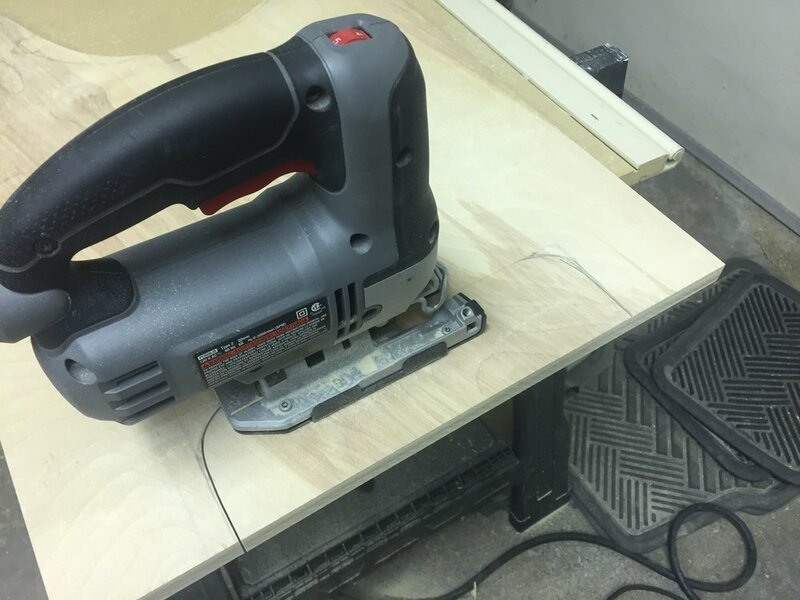 ** Shortcut** If you don’t have these tools or want to make it a tad easier for yourself, you can have the workers at Home Depot cut your plywood for you! 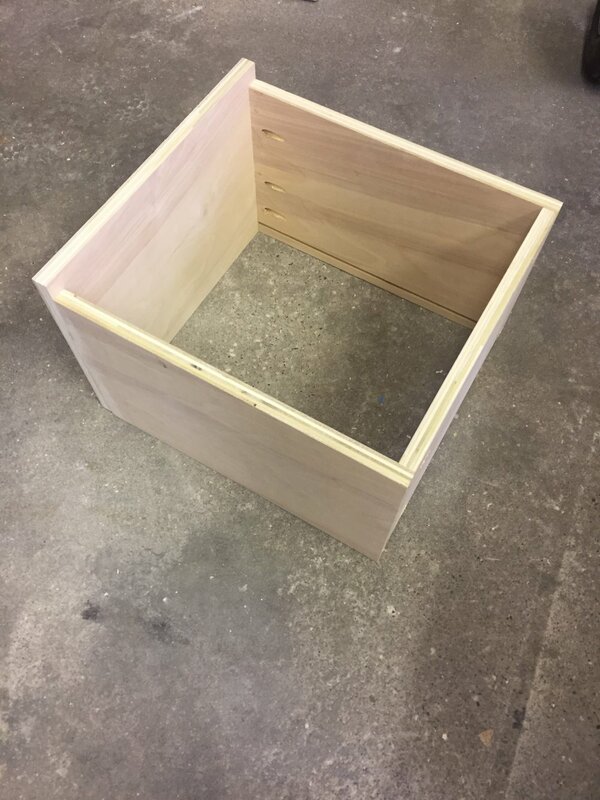 I picked out my plywood, then told the nice gentlemen the exact measurements I needed and within 10 minutes it was all cut to size. And for another bonus, it will fit in your car! Make the sides of your bench. After cutting the 26 x 36 piece of plywood, rip it in half using the table saw. Be sure your pieces are EXACTLY the same. Mark 8 inches from the top, as this is where the bench seat will attach. You don’t want to cut your design any lower than that. Draw any curved shape you want. I tried to make mine look exactly like the curve on the Pottery Barn website. Draw a design for the legs on the bottom. 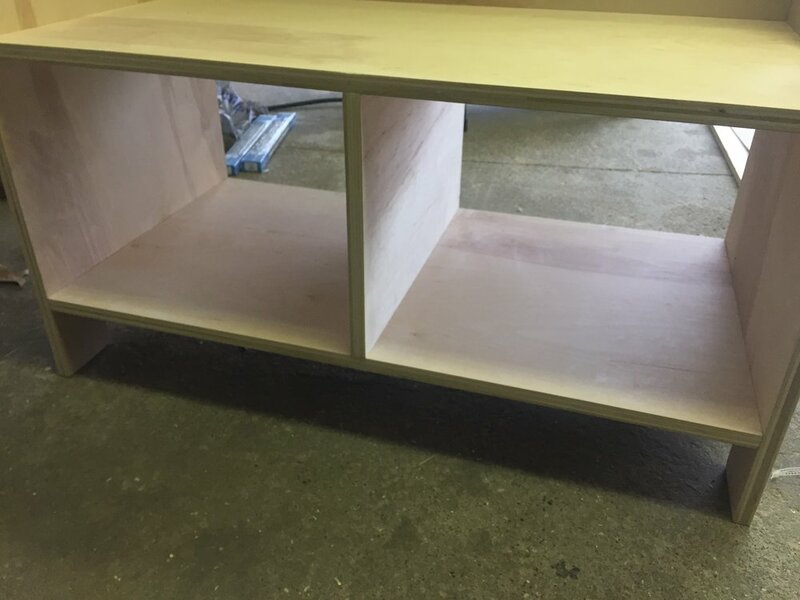 Be sure not to cut higher than 3 ½ inches, as this is where the bottom of the drawers will be! Use a jig saw to cut out your design. Depending on how steep your curves are, this can be a little challenging. Take your time! **Shortcut** Once I cut one side with the jig saw, I was able to use the router to make the other piece look exactly like the first one! This saved me a lot of time and concentration. 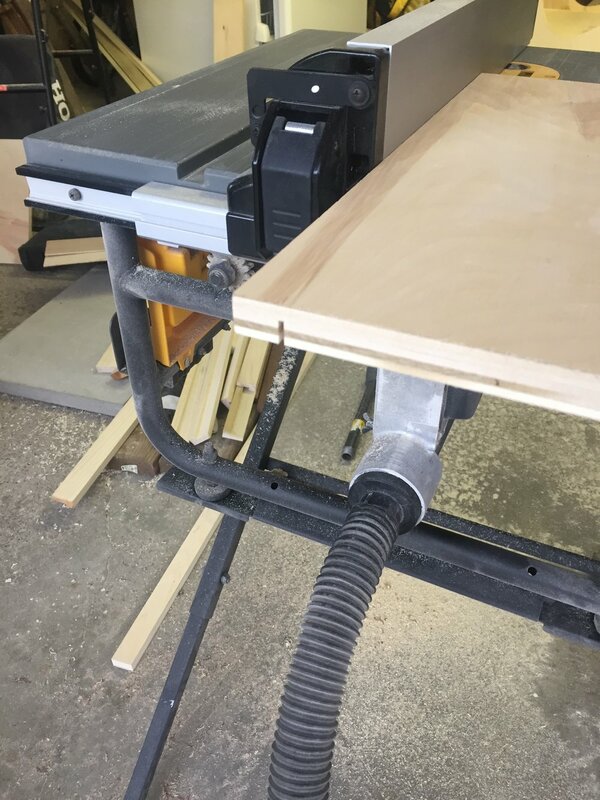 Run the 33 x 36’' piece through the table saw to get two 33 x 18” pieces. Drill pocket holes in each end and attach them to the side panels. STEP FOUR Add the backrest. Use the 7 ½’' strip (from the diagram) to cut your backrest. Depending on the size of your curve, the height may vary. Just be sure the backrest does not go higher than your curve. 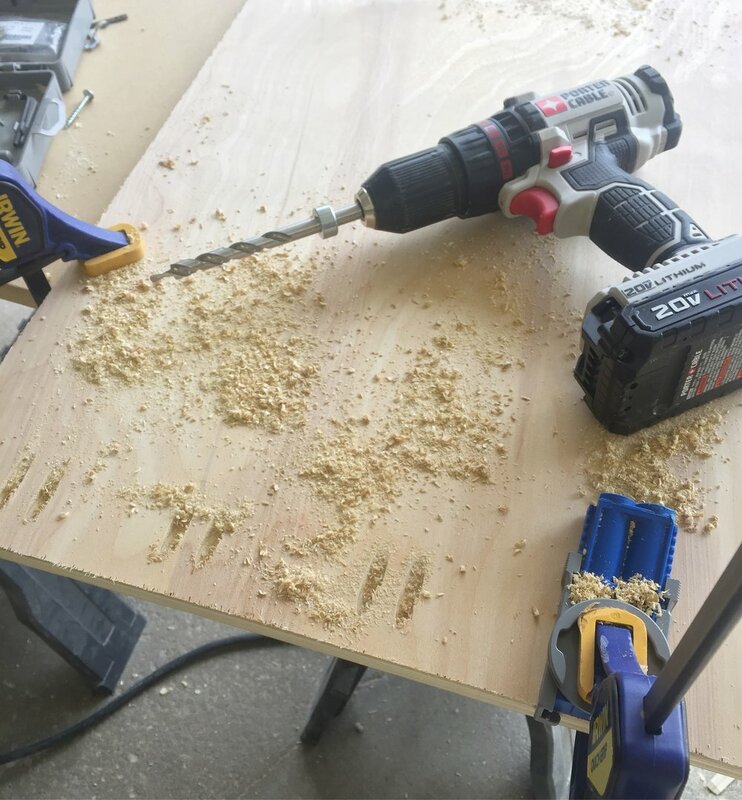 Once cut to size, add pocket holes and screw into place. Cut the drawer divider to size and attach to bench. Use the 13’ wide strip (from the diagram) to cut a divider to size. Depending on your actual bench measurements this may vary. Just be sure it’s snug and perfectly centered. 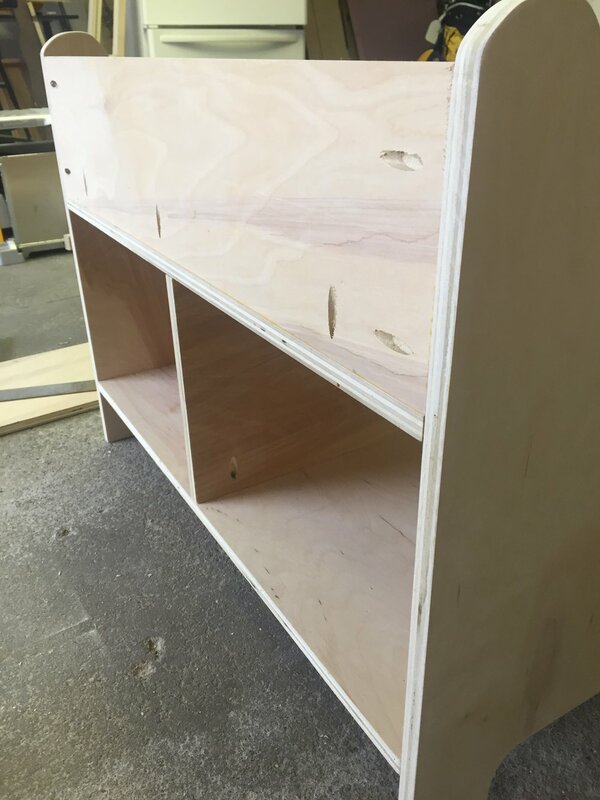 Instead, I decided to build the drawers to fit exactly in the spaces. You’ll need to cut two side pieces and a back piece to the exact size you want them (the white part of the diagram). I made the drawer just a little bit shorter than the actual bench (so it doesn’t poke out the other side). 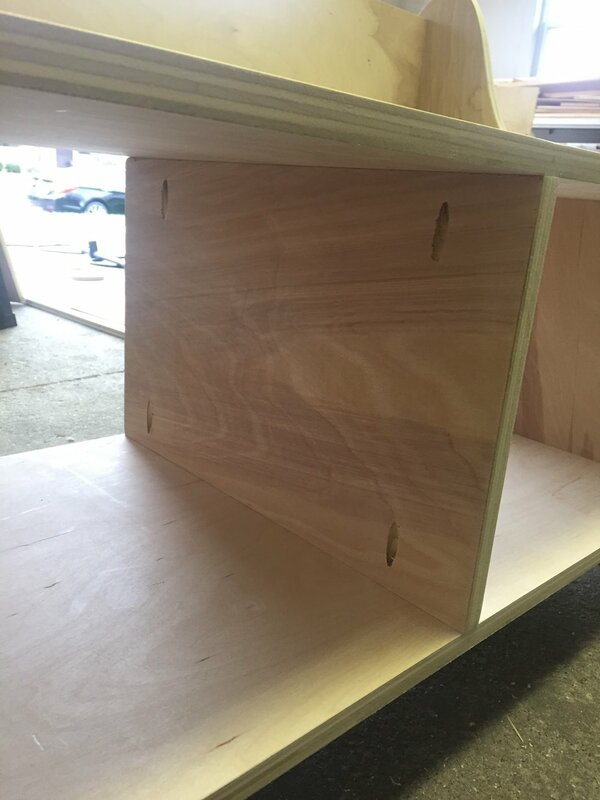 Once they were cut to size, I made a small groove on the bottom of the pieces for a ¼’' plywood board to slide into. Add pocket holes and screw them together. You’ll want to make the face of the drawer the exact size of the opening (well, maybe a tad bit smaller so it will slide in and out). So, once that was cut to size I was able to attach it to the drawer. I bought these handles from Lowes, spray painted them black and attached them to the middle of the drawer fronts (again, I attached them at the very end). Stain and finish the bench. I decided to leave the plywood edges showing, because I like the more farmhouse/rustic look. Once you stain the bench, finish it with a polycrylic and you’re done! It’s just lovely and the drawers are huge! They are perfect for hats, gloves, dog leashes, towels, and whatever else you may want to hide (instead of having all of these things laying on your entryway floor)! If you ask me, I think this is better than the $700 Pottery Barn version. It’s actual plywood and it was homemade! And if you want to see a video on how to build this, check out Shara’s page (she posted her first ever build video)! Newer PostPainting a coffee mug and the story of our wedding mugs.